John Cena has tried to reinvigorate his wrestling career lately even going so far as to say he is in his prime and he has that old ‘ruthless aggression’ fire back. The problem is that most of the fans talking are discussing his long hair and to be honest – how slow he is getting compared to younger talent. It’s not just the fans. WCW and WWE former champ Booker T dropped some truth bombs on the Heated Conversations podcast about his claims. I’m gonna tell you right now, I don’t care what John Cena says, he can say he’s got the fire again. What now did he say he had? Ruthless aggression! Yeah, that’s what he said. He can talk a good game but his rapping days is over. I mean, my time is now? Your time is up. He went even further than that and talked about John’s loss to Finn Balor recently. Finn Balor got the biggest win of his wrestling career probably Monday Night against John Cena. That was huge. 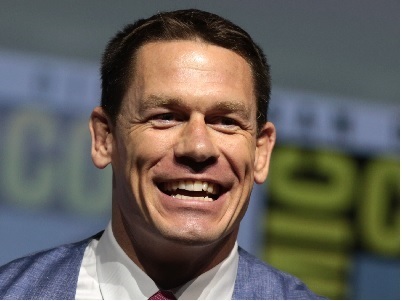 John Cena, you can tell this guy’s getting a little slower, his hair is getting a little longer. Finn Balor, literally in the right place at the right time, catching John Cena. Check out the rest of the show and let us know what you think.